Minihane was absent from the show in August for a couple of days. When he returned, he revealed that he had checked himself into a hospital after he contemplated killing himself. 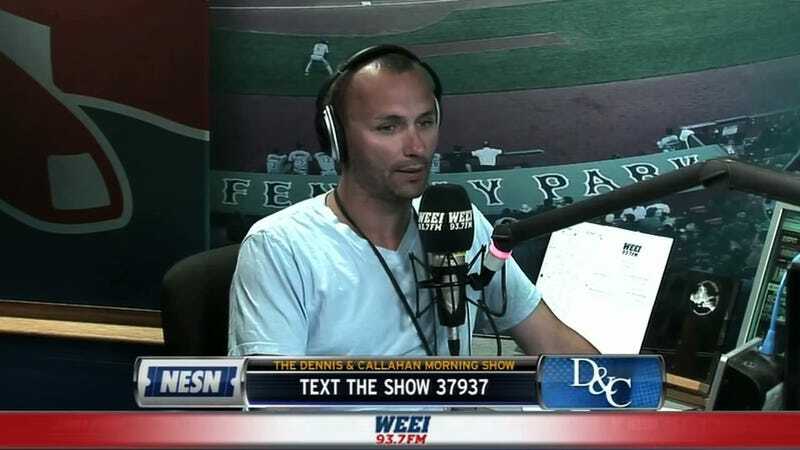 At the time, he believed his depression had come from a combination of things, including the deaths of both of his parents last summer, as well as a person he didn’t name who had been “trying to bring down our show.” Minihane was presumably referring to a listener who had contacted WEEI’s advertisers and earned a sit-down meeting with the station because the show’s hosts made offensive remarks while discussing an article about a transgender child. In the first show he hosted after his hospitalization, Minihane was asked by a listener if his radio persona clashed with his personal life and contributed to his depression. He dismissed that possibility.